It’s a strange thing. You grow up with something and then only in your 41st year you see the potential for what something can be. When I say I grew up Baptist, I mean that in the truest sense. I tell people I grew up so Baptist in the 70s and 80s that even when there was no Wednesday night fellowship supper, we still felt the need to eat baked chicken, waxy green beans, and new potatoes with watered-down sweet tea. That supper might have been partaken of more than the Lord’s Supper. This is no criticism. But I grew up with very little understanding of the Lord’s Supper. It was only done 5 or 6 times a year, and while always a “big deal” it lacked any kind of power for me. It was a memorial meal, nothing more. I’ve no doubt there are others who cannot understand this. It has always been moving and special for them. I am more than willing to place all the blame at my own feet. I most likely spent far too much time passing notes in church and writing down the lyrics to my favorite songs. Or looking up questionable words in the Christmas hymns. And even though I took classes in Seminary on the subject of communion and then later taught on the subject and even went to churches that celebrated it more often, I never really felt that I needed it till this past year. One of my favorite books I’ve read in the past year was Thomas Merton’s The Seven-Storey Mountain. It’s a memoir of the writer turned monk. Yes, he’s Catholic, but hang with me here. There are a number of scenes I’ve been able to recall fairly well but one in particular stands out. Merton is on his way somewhere but before he goes to wherever he needs to go he hurries to make sure he can get to Mass and then get where he needs to be in a hurry. I have this picture of him running down the steps after the Mass and to his destination. Have you ever connected with a scene in a book or movie you could not understand? You wanted to, but could not. There was something in the scene swirling around in your head producing a longing…a desire to get in on something. That is how I have always felt about that scene. It’s drama for me was it’s incomprehensibility. I knew nothing of his desire for the Lord’s Supper. While I am not a fan of the Catholic Mass, I still see something in his desire for the meal, that I, as a Protestant should have. But I never really did desire it till now. For about 3 years now I’ve been in various churches where the Lord’s Supper is celebrated every week. But it was not till I left vocational ministry that I began to desire it every week. And I only have a guess as to why. And even this guess has some fuzzy edges. 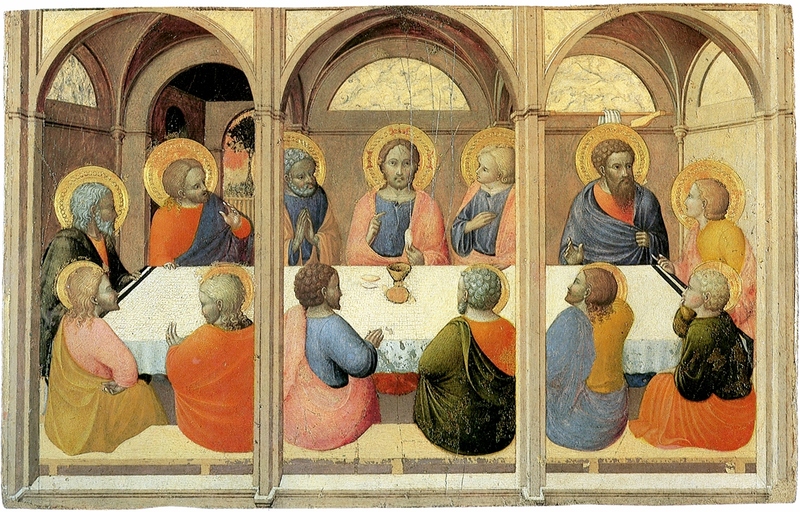 The Lord’s Supper is nothing like what I experience during the week. It is altogether different. So much of my work week is governed by economic factors and money-related problems and solutions. Numbers rule. There is no mystery, no unseen power to be considered in the banking world. All is measured and quantified and then analyzed – even our customer service evaluations by Gallup – and then pored over and then we are weighed in the balance. And the customers are evaluated and then the company is also. Maybe I was too much like a banker in ministry, I worried about numbers. And evaluated myself and others by the same far too often. I counted heads and worried or rejoiced accordingly. I guess it’s just far too easy for pastors and churches to fall into a philosophy of ministry that borrows a little too much from the business world. But even those churches have the Lord’s Supper…something that is so different from everything else. There it is, a paltry meal. Just a bit of wine/juice and a bite of bread/cracker. Prayed over and then taken in faith. There is nothing practical about it. It’s so….different. Which is why they call it holy. It took me about 41 years to feel this way so I’ve no desire to make anyone feel guilty about their lack of mystical feelings when taking the Lord’s Supper. All I know is I was encouraged to know someone at sometime, somewhere craved the meal while I did not. I just kept taking it in faith, believing it’s sermon as much I could in the power of the Holy Spirit. And then BAM!, I found myself in the midst of a world I did not understand and do not really like (Frodo and Sam and lembas?) and the desire to eat it every week became overwhelming. I live in a practical world and it’s impracticality became for me something holy and fulfilling. There is nothing to admire here. Perhaps admiration should be reserved for those who faithfully obey the command to eat the bread and drink the wine and wait for a little more understanding. I started by calling all this strange. Maybe it’s just another part of the mystery. We trust that God is doing something gracious in us even when we cannot see it or feel it. In a world where everything has to come with excitement and fireworks, maybe the Lord’s Supper is a quiet reminder of God’s steadfast faithfulness to sinners even when we cannot grasp all that it means. And to be honest that is usually when I need it the most. 1. My kids are making really good grades in school. How did this happen? 2. While your complaining on facebook about people talking about politics on Facebook, there are people in other countries who are not allowed to. 3. Dogs are stupid. Coffee is a man’s best friend. 4. Looking for a new job, skills include the ability understand teenagers and ummm, you know like, college students. You would not believe how many companies do not see the value of this. 5. 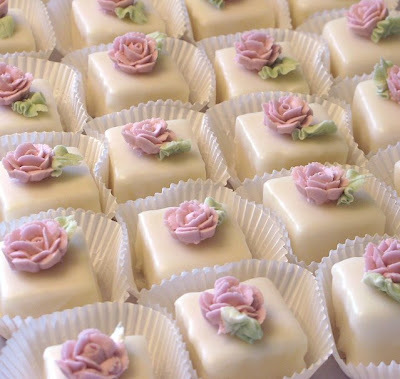 Look, if someone would invite me to a bridal tea, I would not have ask for Petit Fours for my birthday. 7. Discovered this awesome new band called “The Indisputably Bright and Gleaming Doorknobs of my Step-Mom’s Lake House.” But then right after I discovered them, I realized three other people had downloaded their album, so I quit because I refuse to be a slave to pop culture. 8. Protip: Always, always, always vote for the candidate least likely to listen to Lady Gaga. 9. The offseason is no time to relax. Fantasy baseball draft is only 6 months away. 1. I don’t read World magazine and have not read any books by D’souza. So I have no dog in this fight except my cynicism of just about any media outlet. And over the past couple of years has been true of Christian media also. Whether or not D’Souza spent the night in a hotel with a woman he called his fiancée at a Christian conference when his divorce had yet to be finalized may matter. What also matters is that the man who wrote the story for World and World’s Editor had a personal grievance with D’Souza. If World had included that in the first article, the ensuing debate/conversation, spurred on by social media, would have certainly been different. 2. D’Souza recently produced a very popular documentary critical of Obama. Are you telling me Liberals would not love to prove the allegations are true? So as to point and scold for hypocrisy? I have to believe that someone would hire a private detective to prove that he and his fiancée did spend the night in the same hotel room. 3. Of course the accused should be able to offer proof also that they were in two different hotel rooms. 4. Do people still read World magazine like they used to? I never hear anyone talk about it. 5. I’ve seen a number of people make the argument that this is what happens when people’s passion is for politics and not the cause of Christ. If this is the lesson anyone learns from this controversy, it is a tragedy. It’s a false dichotomy. It assumes you cannot be passionate about politics and be passionate about Christ at the same time. it sets them up against one another. If Christians desert the public square, it will be a dark public square. 6. We have the sown the seeds of an evangelical celebrity circus and we are reaping a sticky cotton-candied, bearded-lady, three-ring version of a whirlwind. 1. I don’t really like Lifeway much. Its kitschy and they always hound you about buying/donating/giving to something when you check out. And you have to listen to the fourteen-thousandth version of a worship song that came out six months ago and will be forgotten in six more. My guess? RHE doesn’t like Lifeway either. Lifeway is a straight down the middle evangelical bookstore. She is very critical of them. So Lifeway is most likely not fond of her. Where do we get the idea they should be expected to carry her book and if they don’t its a really big deal? We get from those who enjoy the outrage. 2. I would get excited if my book was not carried by Lifeway. Because then I could tell everyone on my blog and then more people would probably buy it. And then I could afford to get my car fixed. 3. RHE doesn’t seem to me to be the kind of person who gets their feelings hurt very easily. Maybe they are hurt. Or maybe, just maybe, she is enjoying this a little too much. I mean, this isn’t a justice or fairness issue. It’s not because she is a woman. Too many books on the shelves written by women for that to be the case. It just seems hard to feel sorry for her. I doubt she wants us too. 4. It seems that most of the people who are concerned about this are just like me…they don’t like shopping at Lifeway anyway. 5. I don’t know for certain that RHE is stoking controversy to market her book. But I know I would be tempted to do that. But I also would like to think there is a part of me that would shrug my shoulders and move on. 6. I know full well my own desire to sometimes shock and stick it to the rank and file evangelical sometimes. I get very frustrated with the evangelical circus. But this just seems to be part of it and not a separate thing all together. To be different from them would be to respond without such righteous indignation. On your blog. T be different would to walk out of the tent of the circus and not worry too much if anyone notices. 7. I think it would be better for the church at large if Christian bookstores published books by all kinds of believers. But I also think they should be able to sell whatever they want. 8. I keep seeing the word “banned” bandied about. If a gay bookstore does not sell a book by an evangelical, no one uses the word “banned.” Lifeway has not “banned” the Catholic Bible or the Book of Mormon. Or RHE’s book. They just are not carrying it. When something is banned, it’s use or distribution is prohibited. The word doesn’t work here. You can buy it elsewhere. And probably for cheaper. Without having to stand in line by the Testamints. 2. The rain delay for the Cardinals began as we left to go eat and see Emmylou in concert. The game began as soon as we returned home. Cards won. I’m winning. 3. I don’t appreciate the school pressuring my son to wear pink today. Although I’m kinda glad he has no idea why. 4. My family only eats organic pumpkin candy. 5. I have eight sick days left so I’m now drinking after everyone as much as possible. 6. I’m about to finish my fortieth year on this strange and beautiful earth. And I still prefer hot dogs over all things. And wish I had a lightsaber. 7. Now that I’m coming to the end of LOTR and have worked so hard to get there once again, I find myself not wanting it to end. 8. I have renounced Satan and his show, Yo Gabba Gabba. 1. Last night I dreamed that Justin Taylor read an excerpt of my book, questioned my orthodoxy and then John Piper said “Farewell” and my book then skyrocketed up the best sellers list. 2. You ever read The Lord of the Rings and envy Frodo and Sam’s journey to Mordor because they don’t have to go to work? 3. I’ll be running a special on my book. If you buy one at full price you get nine more at full price also. 4. I wonder what Pujols is doing right now. 5. You ever see people on facebook or Twitter talk about being sick and think, “I wish I was sick at home”? 6. I thought my kids were really smart and then they fell for “The Quiet Game” all too easily. 7. My 3 year old son insists Dora is quality TV. The exorcism is scheduled for next week. 8. I just read that James MacDonald makes $500,000.00 per year. As a pastor. 9. Read an article the other day about how demeaning flipping burgers as a job is for young people. My first thought was about how awesome that job would be…because it’s burgers. 10. Everyone finds humility attractive until someone comes to you for help, hat in hand. And then we wish they had more pride. Why Do They Leave the Church? The following was begun 2 weeks ago. There are a lot of theories out there on why people leave the church and never return or return only much later in life and some of them are very compelling. I’ve never really bought into the idea that biblical illiteracy is the cause. Wishy washy doctrine surely doesn’t help. And my entire life as a youth pastor – trying to keep kids at least intrigued with The King and his Kingdom – was set like a flint on inculcating a Christian Worldview. Others set me on that path and I am thankful for them. But I still have a theory taking this a little further. A theory too new in my own head for me to place my full weight on. A theory I am not too sure I could have had if my story of leaving the ministry and entering the business world were different. Apart from the difficulties, I might not have this theory at all. Here is my theory – one reason why so many people, young and old, leave the faith is no one is helping them think about what the great majority of what their lives are made up of. Christianity is given (sold?) to us, in the main, as a life of evangelism, morality and church activities. Evangelism is painful for most people. Morality is great but there are always unbelievers who are more moral. And church activities, even when profoundly helpful, are another spinning plate in already busy lives. Honestly, I can’t help thinking this is not enough. Sure, there are the gospel-hyphenated movements that get people to be gospel-centered, and these do some good in helping people see the big picture. But the big picture is not enough. It is not enough to see the big picture. Our lives are made up of finely drawn details. Each day is full of countless ones. We do all these “little” things at home, at work, and in the marketplace and they just don’t get a lot of sermon time. Evangelism gets a lot of press. Devotionals get a lot too. I mean, not from the Apostle Paul, mind you. But they get them from everyone today. But let’s face it, outside of the Lutherans, who is talking about work and vocation? And every adult works at some level. The mom in the home, whose work is never done and all those who leave the house (or don’t) and work all day for a paycheck work hard in a land of minefields. Sometimes those minefields are buried deep below beautiful fields of green. Others are just below service and must be traversed with moment-by-moment care. Usually, our work is seen as just a means of evangelism or make money for those doing the real work of the kingdom in other lands. Course, we didn’t get that from anyone but ourselves. But what about work is like God and where is God seen in it? How do we know him better through it? Where does this work fit in the Kingdom and how does it reflect it’s values? I keep asking these questions because I’m working. Everyday I go to a job I do not like just like so many others. We catch glimpses of the glory of the King and his reign but I long for more. Mothers, day after day, well, mother. They cook and clean and some have to add work outside the home onto that. This isn’t a request for pity. It’s a plea for meaning. For all our talk about relevance. We are not very good at it. We think faux-hawks, untucked plaid shirts and references to pop music will do the trick. Men and women don’t walk away because of the way we dress. Who would give a rip about them anyway? They walk away because we are answering the questions they are not asking. They want to live and work (and play?) Christianly. And so we send them to an evangelism class. We have taught them to have a wretched urgency about the souls they work with. But we have taught them next to nothing about the soul of work. Everything you just read I wrote a few weeks back in a fit of frustration. None of these thoughts are new on this blog and so I saw no real need to post them here. I was worried the words were not sound enough to be helpful. But then two things happened. First I heard from a few different people. They poured out their frustrations and were glad there was someone who was dealing with some of the same issues with work and faith and vocation and looking for some hope beyond and within it all. So my theory may have some merit. I’m under no illusion this is the whole answer. But I sometimes wonder if we are really talking about the real thing. 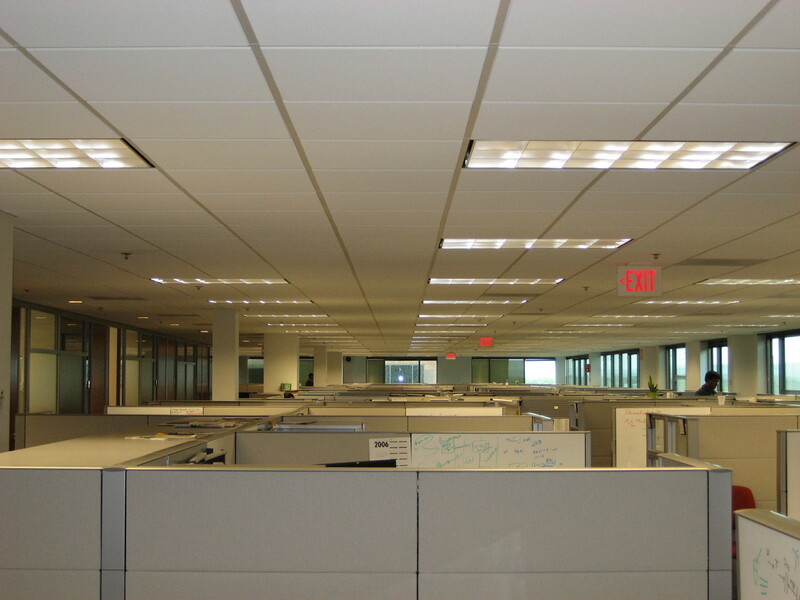 I repeat, most often, the question, “Why work?” is answered with only evangelism and missions. Rarely, if ever, is there anything else to the answer. We hear nothing about God’s view of work and his creativity. Shouldn’t we want the arc of the redemptive story to stretch over our lives and be the banner of the way we think about this 9/10ths of our lives? My guess is the reason we rarely hear about these thing is that sounds like hard work. Evangelism and missions are easy for pastors and bloggers and writers. Those subjects preach well. And they are needed. We need to think and talk about those things. And we need to talk about morality. In a world careening into darkness, we must. But we should not be surprised when people leave if this is all we are serving them. 1. When my book comes out I promise not to ignore my critics. I will reach out to them on their Facebook page, download a picture of them, print it out and throw darts at it. 2. We have moved on from bumper sticker theology to Twitter theology. 3. Thinking about adding “invented the BBQ pork quesadilla with Veleveeta” to my already swelling resumè. 4. Only a sports journalist would ignore history while making the case that Cabrera has made history and therefore should win AL MVP. 5. Saw a bumper sticker with the sign of the Deathly Hallows and my first thought was “How nerdy is that?” And then I wondered where I could get one. 6. It’s that time of year again when I start asking myself the all-important question of whether I should buy a Han Solo costume. 7. When J.K. Rowling was asked if she was worried that the kids who grew up reading her Harry Potter books would now be reading her newest book which has a lot of sexual content in it, she said she never asked to be anyone’s babysitter. No, but you did ask to be invited into our homes. 8. I decided to cut the grass when my kids asked to go play in the woods and they meant the front yard. 9. You know the conservative won the debate when your liberal friends tweet about how boring the debate was. 10. Evangelicalism has become a circus and the ringleaders decry those who exit the tent. My plan was to write a number of posts on all the things below. Best laid plans. And I just figured less is more. Most of what I have written below is still being learned by a guy who left vocational ministry and entered the business world. I’ve just now gotten through the Freshman level courses. I think I know something and I’m probably on the verge of being sophomoric – you know, thinking I know more than I really do. The struggle between self-interest and loving your neighbor is real. When I started this job, I vowed I would not let my principles get overtaken by my desire to do well and be successful. This was easy in the beginning. I knew nothing about the finance world and could not even balance my own checkbook. There was very little drive for me to do well to make money by achieving my goals and then get a bonus. Heck, I was just trying to keep my head above and not look like an idiot. But I’ve gotten fairly good at my job and now I find myself having to struggle to care about people more than my numbers.There are always those ethical gray areas that make your stomach hurt even if you have not technically done anything wrong. And there are always situations when the company will be pleased but God won’t. Christians are not the best customers. You wouldn’t believe how often I deal with professing Christians who do not even attempt to be civil. OK, maybe you would. They are sometimes insulting. Sometimes they are dishonest. And sometimes they have asked me to be dishonest. You may not be surprised. What is surprising to me is that even though we – the customer and myself – have established that we are both believers, they have no shame in the way they treat me or others (spouse, child, etc.). I just don’t think Christians know how to deal with others in the marketplace. They probably know how to evangelize and do a quiet time. But they are clueless on how to love others in the marketplace. Numbers are merciless. I am measured by numbers and measure others by numbers. And it sounds terrible because it is terrible. Dollars, dates, scores…all of it defines the relationships. After a year, I am still not used to this. When you work in ministry, you have at least the moral high road when numbers are thrown at you. And grace can permeate the relationships in vocational ministry. I kinda miss that. I hate looking at people and seeing dollar signs and higher scores. But it’s almost unavoidable. Work can steal joy. The other night I took the trash to the curb and all the lights were already out on the outside of the house. The moon was electric light. For a moment I was struck. I could feel the beauty down deep. There’s a deep magic in those moments if you can move slow enough to feel them. But a moment later it was washed away by the fact of work the next day. There are those who would blame me (and you). But I sincerely tried to push it back, I wanted to draw out the greatness of that moment but couldn’t. I had to get up the next morning and go to work at a job I do not like. And so the brightness of the moon waned. God breaks in. For some strange reason I keep getting shocked by the goodness of God filtering into my work. I’m not talking about raises or promotions. I would like those but have yet to enjoy one of them. The other night I finished book two of The Lord of the Rings and I got to one of my favorite parts. The movie does not do it justice, but when Sam and Frodo use the phial of light given by Galadrial, it is wonderful. This otherworldly light, inexplicable in its power to push back the darkness, gives the Hobbits some hope in black place. God, in his great mercy, does this again and again. Either by giving me opportunities to really help someone or simply by putting someone’s shining story in my path on a dark day. Dignity is at a premium. In the business world it is easy to steal dignity. It can be done in myriad ways. And it is devastating to behold, even more so to experience. But here is where the Christian can push against the fall. Showing dignity to the hurting, the poor and those who are marginalized is to do the work of the Kingdom. Simply being kind to them, even when you cannot help them, can be a cup of cold water for parched souls. Often, no one is at fault. For instance, I’m learning something wholly new things everyday, it feels like I’m in High School taking a foreign language course for the first time. But I’m the oldest one in the room and dignity can be hard to come by those situations. The one thing we do the most, no one talks about. No one talks about work in the Christian world but Lutherans. We, evangelicals are good at talking about evangelism, quiet times, family values, et al. But I work everyday and it is hard to find talks, books, anything to helping me think about my work and how to survive and thrive and think about it and process it at the end of the day. Preaching the gospel to myself can help, sure. But it ain’t cutting it for everything. Friendship is a lifeline. If I was not able to instant message my friend, Sean, all day throughout the day, while at work, I am not sure I would have made it this far. We talk about baseball, work, our families, work, music, work, church, food, and work. My sanity disappears on the days he is off work. I like the people I work with, I guess, but none of them are like Sean. We were friends before the job and will be after the job. He’s been with the company for a long time and it’s good to have a friend who can help me navigate the rough waters of corporate America. Not having one would be unfathomable. Work done to support your family is spiritual work. I’m not sure where we got the idea it wasn’t. But far too many people have bought into the idea that all the spiritual work is done by pastors and missionaries. Or work that is done with the goal of supporting them is spiritual work. A Christian man working to support his family because he believes he has a responsibility to do so will get no press. But it is Kingdom work nonetheless. Trustworthy people are a refuge. Trusting people is difficult anyway. In the business world it can make you crazy, I would think. If everyone’s success is determined by numbers, the only thing you can really trust is reaction of the powers that be to your numbers. I never had to think about this kind of thing before. But can imagine the power of a faith community that is a refuge of trust for people who have worked year upon year in this kind of environment? I can. I crave it.